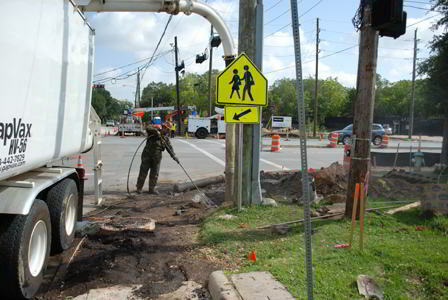 When it comes to drilling holes for traffic signal foundation installations, particularly at busy intersections in commercial and residential areas, underground utilities are a drillers worst nightmare. You may have performed your One Call, and local utility owners may have come out and given you some idea where their utilities are located. You may have even consulted various as-builds, plan and blueprints. Theoretically, at this point, you should be able to proceed with your project and safely dig your hole. However, what about the possibility of unknown and/or unclaimed utilities in the area? What about the general congestion of subsurface structures relative to the dimensions of your foundation? 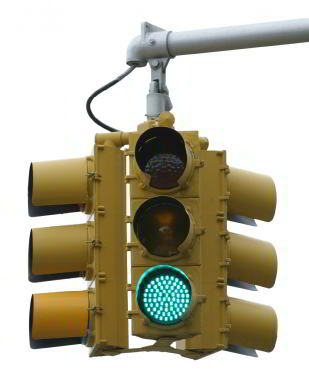 What about overhead clearances–like power lines, trees or signs? What about the access to the proposed signal area? 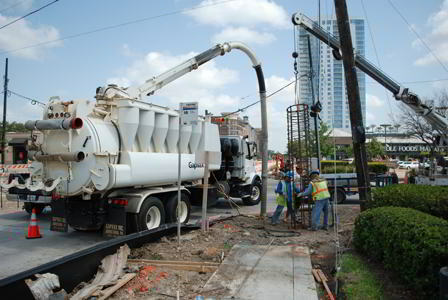 Hydro vacuum excavation is now the most versatile method of excavation, with solutions to each of the above scenarios. 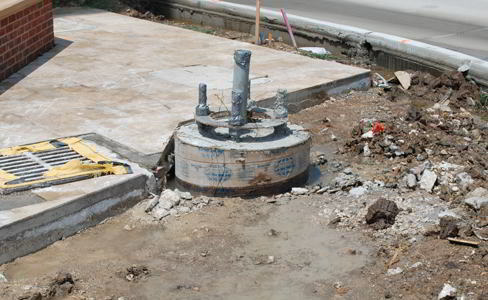 In addition to the obvious safety factors, hydro excavation applications can reduce the amount of time and money it takes to achieve each foundation installation. 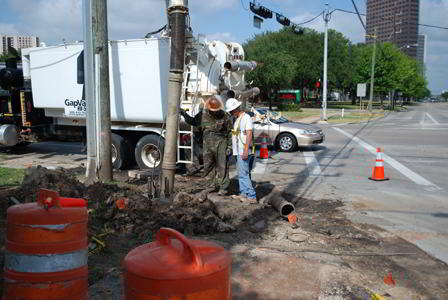 Rather than spending hours, days or even weeks consulting with engineering firms, Hydro Spy can perform exploratory excavations that provide real-time data upon which you can make the decision to proceed with the installation or return to the drawing board. With this approach, you essentially eliminate the need to outsource multiple disciplines (i.e. 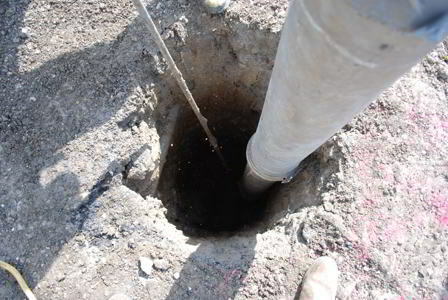 surveyors, engineers and drillers) to get each hole done. We can hydro drill holes of precise diameter and depth without costly add-ons for low-hanging power lines, tree limbs, etc. We can also perform the excavation from an area as remote as 800 ft away (although there are some limitations to this approach). Should we encounter a utility, no damage will be damage. Plus, you will have the opportunity to make real-time adjustments by directing our crews to shift the hole over in one direction or another.